During our last day in Whistler, we were lucky enough to experience two of the undoubted highlights of the area. We'd spent the previous days exploring the two mountains of Whistler and Blackcomb, and had made the most of the "Fresh Tracks" breakfast experience the previous day (of which more later). 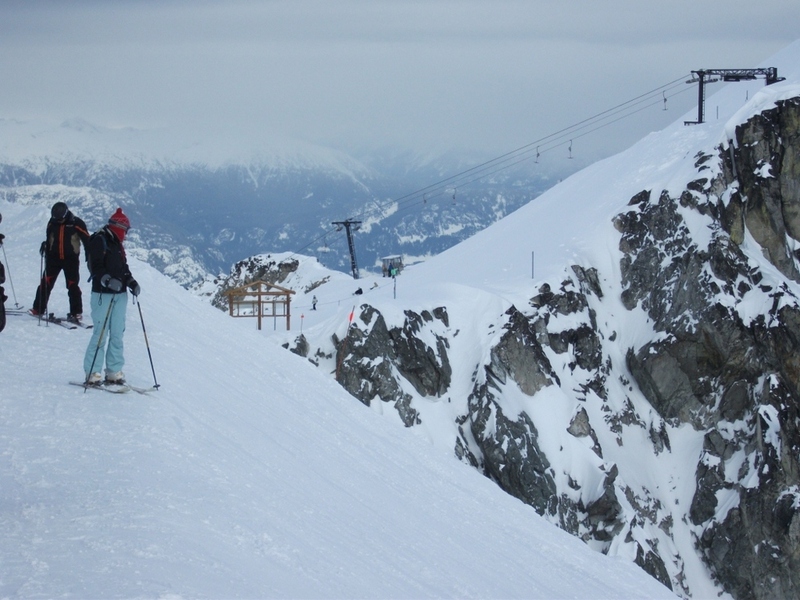 On our final day, we skied both mountains from top to bottom, taking in the Blackcomb Glacier, and the Symphony Amphitheatre. From our base in Whistler village, we headed up in the Blackcomb Gondola, slowly but surely making our way up the mountain. 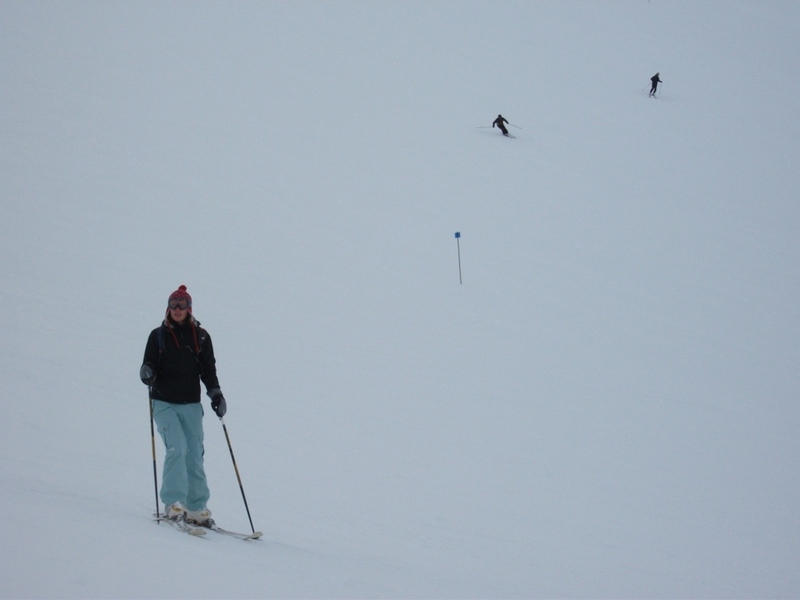 The higher we got, the lower down the evolutionary chain of ski transport we went: first a gondola, then a chairlift, followed by a T-bar (bane of the boarder's life) and finally a skis-off, trudge-up-hill walk. We visited the Blackcomb glacier as part of an introductory tour on our second day, and so the awe-inspiring view from the lip of the glacier was not as imposing as it might have been, but the panorama of snowtopped peaks and the dramatic drop into the glacial valley was still enough to get the heart pumping. The previous day had had poor visibility, which can be treacherous in an expanse of whiteness like the glacier, but this day saw brighter light and clearer skies.We joined a steady stream of other visitors climbing up the small slope to the glacier lip, taking in the scenery which was both beautiful and a bit scary; you pass under enormous snow cornices from Blackcomb peak above, and I suddenly felt that I was much closer to experiencing an untamed mountain than I'd expected from a resort so insulated from wildness. 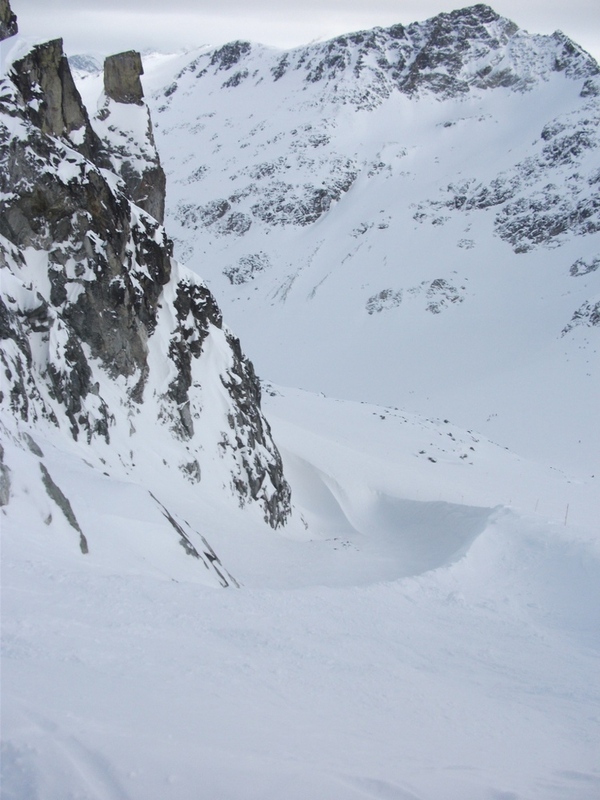 We chose a gentle, arcing line down through the glacier, first steep but slowly widening and flattening, and reached the head of the Blackcomb creek which is fed by the glacier. 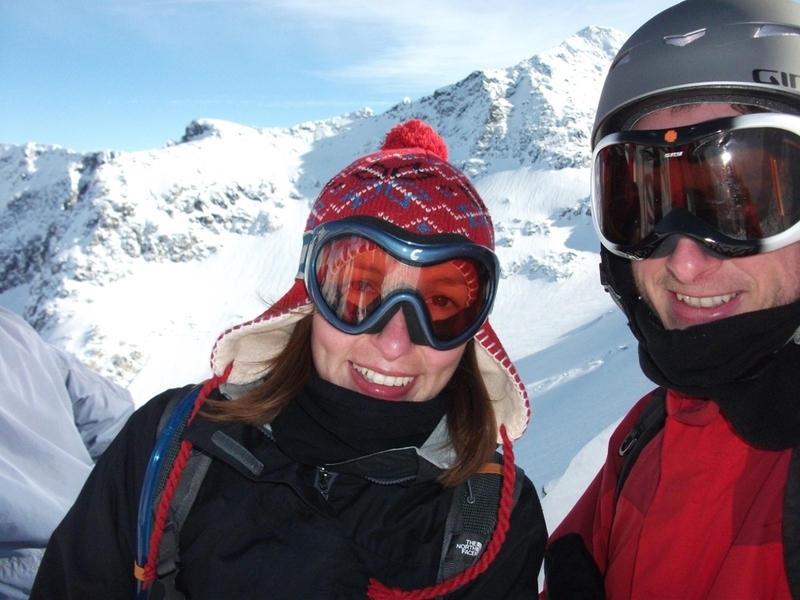 A sense of achievement was mingled with the temporary exhaustion of reaching the bottom unscathed – despite the existence of a ski run of only moderate difficulty, meaning that even average skiers can safely descend the glacier, skiing within the glacier adds an extra layer to the experience. 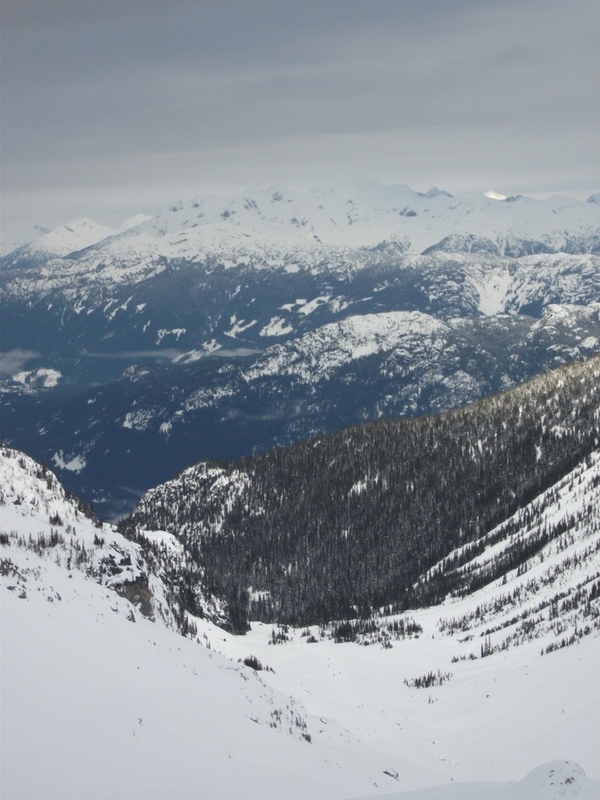 Having made it off the glacier, we followed the winding trail to the base of the mountain, where we restarted the ski lift experience, heading all the way up to Little Whistler peak on the opposite side of the valley to Blackcomb. 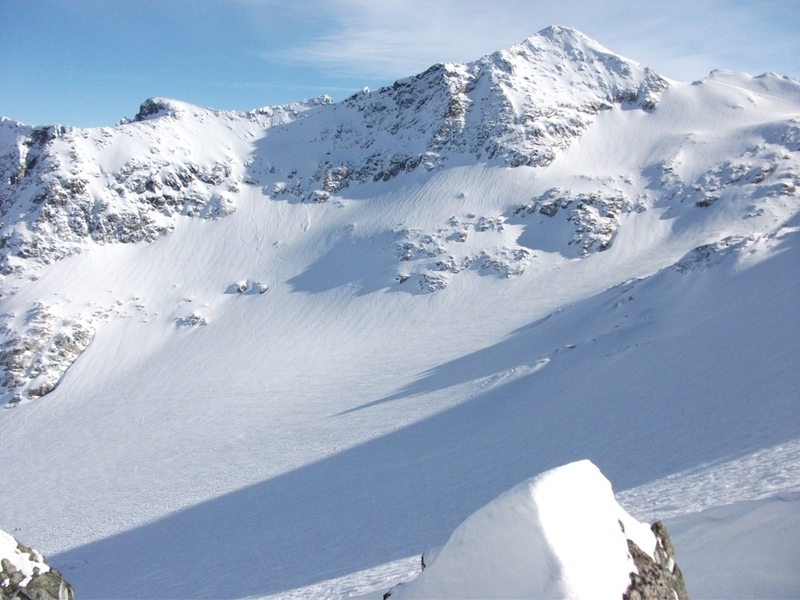 A diversion from a route we'd previously travelled brought us into Symphony bowl, one of the most isolated areas of Whistler; there is a single route in from the main ski area, and to exit you need to take the dedicated lift up and ski a number of other pistes out. Symphony Amphitheatre represents an attempt to introduce greater environmental sensitivity to the development of a ski area; the limitations to the number of visitors as a result of the way that lifts are set up, plus a more nuanced approach to developing pistes by thinning trees for glades skiing, rather than clearcutting vast tracts of forest, makes for a distinctly different skiing experience. We spent a couple of hours riding the lift to the head of the pistes, and taking different routes down each time; at one point Dave ended boarding into a creek, while my favourite run was "Jeff's Ode to Joy", which splits into 6 narrow chutes through trees to reach the base; it provided a great chance to split away and hare through the trees, whooping and waving. As the lifts began to close, we left Symphony behind, heading to almost the highest point on Whistler mountain, before skiing pretty much non-stop to the bottom. 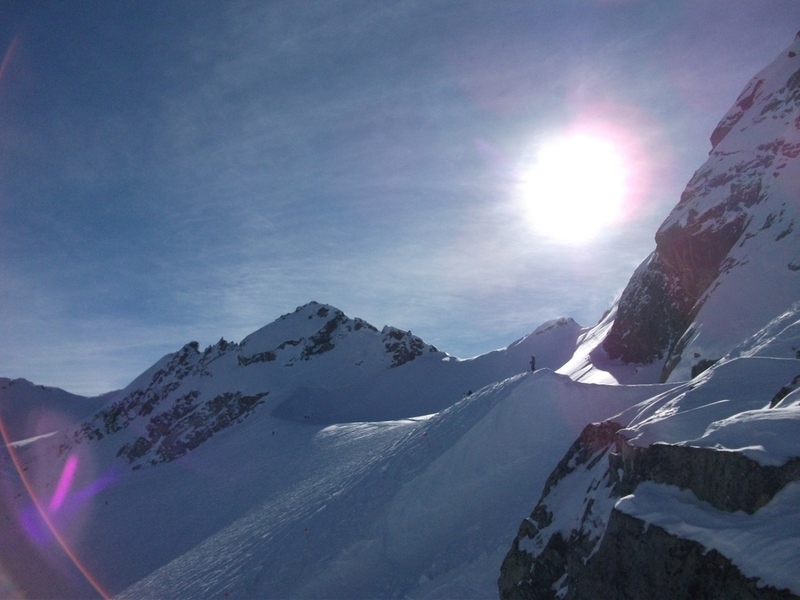 It gave us a great overview of the mountains, and showed that you could spend weeks exploring the pistes (and the areas between, as visitors are encouraged to do here, which is a new experience for me) and still not see it all. As usual, glorious photos courtesy of Dave Cheeseman. Check out his blog at davecheeseman.posterous.com.